Whether you have a leaky faucet or a pipe has burst, you can count on Aptera for the fastest and most reliable plumbers in Seattle 365 days a year. With dishwashers, showers, toilets and sinks that all need fixing at some point, knowing the Seattle plumbing repair companies to call in a pinch will come in handy sooner rather than later. 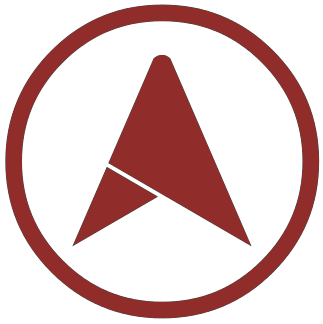 Aptera prides itself on acting as a strong filter with background checks and speaking to every company you see listed to make sure that in your moment of crisis you get repairs done fast. Pricing for Seattle plumbing services may come as a surprise to you if you have never owned a home or been in charge of repairs. For starters, there is no set price for any one service, one plumber in King County may charge more than the next because they are better trained or more specialized. While one plumber may look at a leaky toilet and recommend that it be replaced (thus incurring the cost of an entire toilet), another will fix the existing toilet for less. The tradeoff here is that you are more likely to need future repairs. Also keep in mind that specialty plumbers in Seattle, Bellevue and Kent that work nearly exclusively on large, more difficult projects will charge a premium even if they are simply changing out some gaskets or tightening some piping. Comparison shop. Get rates from several plumbers in Seattle before you select one to do the job. Since most work requires an on-site estimate, many people don't want to bother scheduling more than one. *Tip – let the plumber know that you are getting at least 3 bids, research has shown that this fact alone can reduce the cost of the initial bid by 10% and encourages the technician to take time to explain service options at various price points. Ask if you can see the cost of parts (fixtures, vanities, toilets, valves, pumps, fittings, faucets, clamps and more) separated from the overall service. This will allow you to see if it makes sense to stop at a big box home improvement store to pick the parts up yourself. Predictably (and justifiably), every plumber in Seattle, Bellevue, Kent and Renton will mark up the cost of these parts to account for their time, cost of inventory, etc. While emergency plumbers in Seattle do work 24 hours a day and holidays, avoid calling after normal working hours for non emergencies. Costs are significantly higher so unless water is leaking into your walls or on your floor, wait until the next day to pick up the phone. Unclogging a Clogged Drain - Sure, you can try to unclog a drain yourself with store-bought products like Drano, Liquid Plumr or even homemade concoctions with vinegar and baking soda, but for a major clog, you will need to hire a professional drain cleaning service in Seattle. Hair, soap scum, food debris and other items can accumulate in a drain, making it difficult or even impossible for water to pass through. The average cost for drain cleaning in King County is $200. Fix a Leaky Faucet - That dripping faucet is more than just annoying; it's a waste of water and it can do damage to your sink or tub and your pipes. For minor leaks you can turn off the water supply and try tightening the fixture with a wrench. If that doesn't work we recommend having a pro take a look at it. Usually in less than 20 minutes Seattle emergency plumbing companies will be able to disassemble your faucet without doing damage, inspect washers, o-rings and valve seat to determine the source of the leak. Repair a Burst Pipe - Pipes will burst if too much water pressure builds up (usually due to a clog elsewhere in the house) or if the water in them is allowed to freeze and expand against the pipe. Older pipes can also leak or burst due to chemical reactions that corrode the pipes over time, typically caused by acidic or alkaline water. Plumbers in Seattle have the option of welding a patch over the broken pipe or replacing the damaged section of pipe. 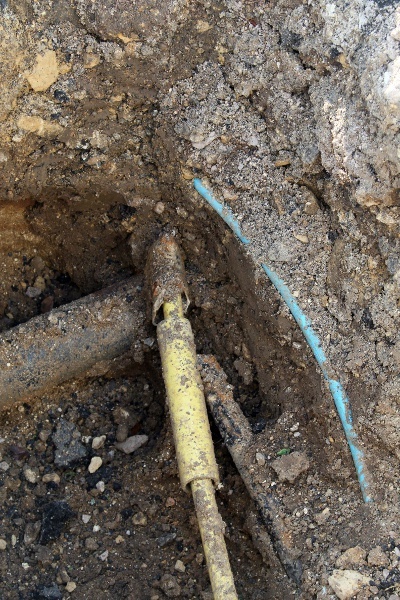 In some cases all of the pipe may need to be replaced, such as when tree roots have grown around and into piping. The average cost for pipe repair in King County is $700 for one isolated burst or tear in the pipe. The more information you have the less likely you will get poor quality work from a bad plumber in King County and you can even reduce your chances of needing help in the first place. Are you licensed? No matter how small the job, never leave it to a plumbing company in Seattle that does not have all of its plumbers licensed individually. It is simply to easy for improperly trained plumbers to do major damage that can ruin your home or affect you drinking water. Don't just take the plumbers word for it either; ask to see and verify the license is legitimate. *Note that in some cases homeowners can incur fines for having faulty plumbing installed and selling a house with plumbing that doesn't stand up to code will cause major issues. Only a licensed King County plumbing company can be held accountable, rather than you. If you are adding a bathroom or doing some major repairs that will require new fixtures you can also take a look at the NCSL's most up to date info. They also get bonus points for membership in societies like ASPE that promote ongoing education and serve as a resource for staying on top of industry developments. How can I learn more before calling a plumber in Seattle, Bellevue and Kent? There is always more you can learn to help you before your plumbing project starts. For larger remodels/additions that require plumbing work we suggest the International Code Council for Washington specific plumbing code, for older homes where lead pipes can be a health concern: www.iccsafe.org, www.asse-plumbing.org/chapters/NOH_LeadFree.pdf, and www.water.epa.gov. Compare plumbers in Seattle - Word of mouth is great but most people cannot recommend any service let alone a specialist plumber that will match well with your needs. We recommend quickly looking at reviews to identify red flags and then looking at their areas of expertise and make sure they are a good fit. For example if a company focuses on commercial plumbing in Seattle then they will likely not be a great fit to fix your toilet. Seattle repair a clogged drain costs $323, gas pipe installation or repair costs $493. Bellevue repair a clogged drain costs $322, gas pipe installation or repair costs $492. Kent repair a clogged drain costs $287, gas pipe installation or repair costs $438. 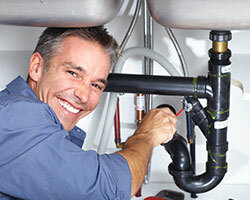 Renton repair a clogged drain costs $327, gas pipe installation or repair costs $499. Federal Way repair a clogged drain costs $259, gas pipe installation or repair costs $395. J & K Plumbing, Inc.
Auburn repair a clogged drain costs $321, gas pipe installation or repair costs $491. Redmond repair a clogged drain costs $316, gas pipe installation or repair costs $482. Kirkland repair a clogged drain costs $329, gas pipe installation or repair costs $503. Bothell repair a clogged drain costs $255, gas pipe installation or repair costs $389. Issaquah repair a clogged drain costs $280, gas pipe installation or repair costs $428.